The contemporary world has banished God from its affairs. The endless wars with their attendant suffering inflicted on millions of innocent people, most of them Muslims, hardly registers on man’s conscience, or at least on that of the decision-makers of this world. like the tyrants of old — Nimrod and pharaoh— whose stories are narrated in many surahs of the noble Qur’an so that we may derive lessons from them, the modern-day tyrants also decide who lives and dies based on their cost-benefit analyses. Human life has no value; it is a cheap commodity that can be dispensed with at the whim of the power-wielders. This is true, unfortunately, even for many of those who call themselves Muslims. True, they do not explicitly deny the existence of Allah (SWT) but they have reduced His commands and injunctions to a few rituals that have little or no bearing on the larger aspects of life. At the personal level, critical decisions related to family matters, for instance, are not based on divine commands or the prophetic sunnah. At the larger corporate or state level, the situation is even worse. God’s commands are not allowed to intrude into decision-making in the boardrooms of major corporations or the cabinet rooms of governments. Most of these decision-makers probably go to church, synagogue, or masjid but they have locked Allah (SWT) firmly out of their decision-making process (nastaghfir-allah). They have tried to sequester Him to the rituals and polemics of church, synagogue, or masjid so as not to have Him “interfere” in the affairs of man that must be left in the hands of these “all-knowing” agents of consumerism, secularism, humanism, atheism, and political narcissism. They decide what policies are to be implemented and what options are to be avoided regardless of the suffering such decisions cause to the rest of humanity. Divine guidance has no role or input in such decision-making. International institutions such as the united Nations, World Bank, and the International Monetary fund, and now such concepts as the “international community” and the “right to protect” have all usurped the power and authority of Allah (SWT). While Allah (SWT) says He is “the best of providers” (62:11), these institutions, policies, and their chief executives insist they alone must decide who will be fed and who will go hungry or even starve to death. In the age of plenty where some die of obesity, hundreds of millions of others are on the verge of starvation, either due to wars of choice or preventable famines. No divine scripture, even those like the Torah and the Injil (Gospel), which have been corrupted by human accretions, supports such cruelty — yet it is widespread today and increasing. What does the Qur’an say about this situation? The middle section of Surah al-Ma’idah (Ayat 41–81), which is the subject of this volume, narrates with stunning clarity the basic message reminding us who the ultimate authority is and who the lawgiver is. While the bulk of this surah was revealed between the Battle of al-Ahzab (Shawwal 5AH) and the Treaty of Hudaybiyah (Dhu al-Hijjah 6AH), there are also ayat that were revealed at the end of the prophet’s (SAW) mission on earth. To the uninitiated, it may appear a little incongruous that these ayat would be reminding us about Allah’s (SWT) authority in Madinah when such subject matter is often addressed in the Makkan surahs and seemed to have been settled as far as the situation in Madinah was concerned. Not so. Given human nature and the tendency to become oblivious of the ultimate power and authority in our lives, Allah (SWT) reminds us once again in this section of the surah, as indeed in many others, that He, and He alone, is the Authority and lawgiver and those who get carried away by their self-importance will face the consequences of such behavior on the Day of Judgement, if not sooner while in this world. The noble Qur’an narrates the story of Iblis (lucifer) and how in his arrogance, he refused to obey Allah’s (SWT) command to prostrate to Adam (AS). The angels had immediately complied. Iblis’ refusal to obey Allah’s (SWT) command turned him into a kafir — denier of Allah’s (SWT) power presence (2:32). We must bear in mind that Iblis was not a mushrik; that is, he did not compromise Allah’s (SWT) power and authority with rivals and competitors; however he regarded himself to be “superior” because Adam (AS) was created of clay while he was made of fire (7:12, 38:76, and several other ayat). His arrogance led him to reject Allah’s (SWT) command. This Iblisi (satanic) mindset is not only still present, but has increased alarmingly, putting the whole of humanity at great risk. Thus, this set of ayat provides, once again, an important lesson in the pairing of authority and divinity and the inseparability of “church and state.” societies that have abandoned God for false deities have already institutionalized the separation of church and state. God resides only in the church, if at all, while to Caesar belongs the rest. Almost all societies in the world today have adopted this creed. from the Islamic point of view, the relationship between man’s commitment to God and the distinction of “God the authority” from any other false authorities or deities is inseparable. This point is repeatedly stressed in the noble Qur’an as it is here in this set of ayat. Even in Madinah while the prophet (SAW) and his close companions were present and the Islamic state had come into existence, there were still people whose adherence to Allah’s (SWT) commands was at best lukewarm and at worst opportunistic. This included both the munafiqs— fifth columnists in the ranks of Muslims — and the Yahud. The munafiqs have no commitment to any ideology; their overriding concern is their own perceived interest in the camp of those who wield temporal power but not necessarily principle. The munafiqs emerged in Madinah and not in Makkah because it was in the former that the Islamic state with an established authority and a functioning system came into existence. It was a reality the munafiqs could not deny so they pretended to be Muslims all the while doing everything to undermine the Islamic state and the prophet’s (SAW) authority. In fact, they found common cause with the troublesome Yahud whose tribalism, and the racist culture of entitlement that attends the “chosen people” label, made them into staunch enemies of Islam. The prophet (SAW) had hoped that of all the people, the Jews would recognize the divine source of his message and would, therefore, accept it readily. Their rabbis recognized that the message was divine; Muhammad’s (SAW) advent had been foretold in their books but their exclusivist, racist nature got the better of them. far from accepting the message of Islam, they became the most implacable enemies of Allah (SWT) and His prophet (SAW). They not only feared losing their self-awarded privileged position in the divine schema but also their worldly possessions. Not prepared to forego their “national” self-interest, they chose to abandon Allah (SWT) and His prophet (SAW). That is why Allah (SWT) has repeatedly stressed in these and many other ayat that only He is the Deity and Divinity; there is no other deity or divinity beside or alongside Him. He sent a chain of prophets (AS) — according to one prophetic hadith nearly 124,000 of them — either with or without a written scripture to teach man the proper relationship with Allah (SWT). He did not leave man to his own devices but taught him how to honor Allah (SWT) as man’s only reference, man’s sole sustainer, and man’s one and only authority. left to his own devices, man has produced such demonic ideologies as Nazism, Zionism, capitalism, and communism along with reductionist theologies like Evangelicalism and Wahhabism, all with their concomitant horrors inflicted on mankind. If 10 million people were killed in the first World War (WWI), the second World War (WWII) witnessed the slaughter of 60 million in a period of less than six years. And this was capped by unnecessarily dropping not one, but two atomic bombs on Japan whose horrific consequences stunned even a world made largely insensitive to human suffering. No “religious” wars, often escorted by inquisitions — not even the Crusades with their macabre details — come close in the scale of horror perpetrated by secular and false-religious ideologies. This is the direct result of abandoning God and His guidance. only Allah (SWT) knows what is best for His creation. Through the limited capacity of his own faculties without the benefit of divine guidance, man can only wreak havoc on what are his own brethren. O You who are securely committed [to Allah’s power]! Do not take the [political] Jews and the [political] Christians for your allies: they are but allies of one another — and whoever of you allies himself with them becomes, verily, one of them; behold, Allah does not guide an unfair multitude of people (5:51). The word din itself is mistranslated as religion when in fact that is not what it stands for. Din means a complete social system, way of life, or a social convention whose objectives are framed by a particular legality. The Islamic din refers to a system based on conformity to Allah (SWT) and in affirmation of Him, where the laws that society adheres to protect the morality that individual citizens commit to. Conversely, a din can also refer to a man-made social system in denial of Allah (SWT), where morality and legality are at odds with one another, such as in capitalism, imperialism, Zionism, and Wahhabism. As far as Banu Sa‘ud are concerned, they have no problem with proponents of man-made systems (dins) trespassing the holy land of Arabia, as they themselves have created a new religion out of erroneous hadiths. In fact Banu Sa‘ud eagerly venerate the presidents and prime ministers of man-made systems, handing over the security of the Arabian peninsula in general and of Makkah and Madinah in particular, to their generals, intelligence operatives, and drone technicians. Chaperoned in the retinue of British colonialism, Banu Sa‘ud now leases out the Islamic holy endowment to humanity to the imperialist and Zionist heirs of colonialism, who desecrate holy land with military bases, fighter bombers, laser-guided missiles, and weapons of mass destruction. This does not bother them or their court clergy, the latter of whom are quicker to denounce any Muslim who challenges their Wahhabi adulteration of Islam than to do the same with the executors of those military bases who have, in the last decade, laid at least seven Muslim-majority countries to waste, slaughtering over two million Muslims in the process. Due to the relative ignorance of the majority of Muslims, they can deliberately misrepresent Islamic terminology to serve their own narrow interests while projecting themselves as champions of Islam and adhering to its principles. If their definition were accepted, a permanent resident of Makkah or Madinah married to a morally upright Jewish or Christian lady would not be allowed to settle her in these two holy cities. further, while he may be able to marry such a woman, he cannot be “friends” with her. Can anything be more absurd than that? In the ninth year of the Hijrah, a Christian delegation from Najran (in southern Arabia near present-day Yemen) came to Madinah for discussions about Islam. The noble Messenger (SAW) not only received them with great kindness in al-Masjid al-Nabawi but, as a measure of the esteem he accorded them, he laid out his own gown on the floor for them to sit on. The Christians were welcomed and even allowed to offer their prayers in the prophet’s (SAW) masjid, the second-most sacred masjid in Islam in the second-most sacred city of the Muslims! This is the example of the noble Messenger but Banu Sa‘ud think they know Islam better than Allah’s prophet (SAW), nastaghfir-allah! So how should we understand ayah 5:51? As with all other ayat of the noble Qur’an, it must be translated and understood in its proper context. The sequence of ayat preceding this ayah refers to Allah’s (SWT) power and authority. There is convincing condemnation of those who try to usurp Allah’s (SWT) power and authority or place equals with Him. The political Jews (contemporary Zionists) and political Christians (today’s imperialists) have replaced Allah’s (SWT) laws with man-made laws. It is in this context that the ayah must be understood. Allah is reminding the committed Muslims that if these people are not patrons of Allah (SWT) because they have rejected His commands, then how can they be the sponsors and allies of His striving subjects, the committed Muslims? The inescapable point here is that any Muslim — in a position to do so — who enters into an ideological arrangement and a political or military alliance with political Jews (Zionists) and/or political Christians (imperialists) becomes one of them and is no longer the independent, self-governing, and sovereign Muslim he was meant to be by virtue of his relationship with Allah (SWT). once Muslims join a “Christian” imperialist or a “Jewish” Zionist power structure they lose their “Islamic” feature and assume their enemies’ disposition. These hard-hitting lessons are meant to shake the complacent Muslims out of their stupor and make them realize that if they forsake their Islamic power structure to join the Zionists and imperialists, then they will become one of them. They can no longer be the standard-bearers of Islam even if they have Muslim names, wear Muslim dress, have a foot-long beard, and twirl beads in their fingers to put on an air of piety. Islam is not about rituals; it never was. The noble Messenger (SAW) had to struggle for 23 long years to establish the Islamic state in the Arabian peninsula and defend it with life and blood. He and the committed Muslims he nurtured did not achieve this by entering into alliances with political Jews or political Christians, who held the reins of temporal power at the time. The prophet (SAW) never accorded any legitimacy to the political expression of Christianity (exceptionalism) and Judaism (racism), by giving their corrupt and self-important political leaders an audience; however, he showed their religious leaders and sincere theologians every courtesy and respect. The noble Messenger (SAW) was fully aware of how the Jews and Christians had distorted their divinely revealed books — the Torah and the Gospel. The Qur’anic revelation was meant to bring them back to the way of Allah (SWT), but to do so they would have to come to terms with their historically errant ways. Since the Qur’an is the last and final revelation for all mankind, its message is relevant for all times. Also, Allah (SWT) Himself has vouchsafed its integrity by protecting it from human accretions or deletions (15:09). This is one of the miracles of the noble Qur’an. Given the Muslims’ sad plight today — a direct result of their abandonment of Allah’s (SWT) commands — the ayat in this surah provide exacting guidance for Muslims to pull themselves out of the depth of darkness and into light. Imam al-‘Asi has rendered and continues to render a great service to the Ummah by explaining the Qur’anic ayat in such a way as to have them explain today’s situation. While the Qur’an provides narratives of earlier people, these are not meant as mere stories from history but as timeless lessons so that we may avoid the fate of our predecessors by ordering our lives in conformity with Allah’s (SWT) commands. The lessons in this sequence of ayat from Surah al- Ma’idah are especially applicable today as they talk about authority and divinity. At a time when man-made laws have run amok causing havoc with the lives of the vast majority of humanity, the Qur’anic guidance comes to the rescue of committed Muslims, and by extension, a wayward humanity. It is for us to internalize these lessons by renewing our covenant with Allah (SWT) and His prophet (SAW). As with earlier volumes, this volume too is edited by Br. Afeef Khan. Copious end notes and references have also been provided to assist those that want to delve deeper into the subject matter to pursue their research activities. Thanks are also due to Br. Imran Khan and sr. Marjan Asi in providing timely and expeditious proofreading of the many pages in this volume. Thanks and gratitude are also due to all those who have helped in whatever way to bring this volume — and the earlier volumes — to fruition. Without their help, support and encouragement, it would have been extremely difficult if not well nigh impossible to reach this far. 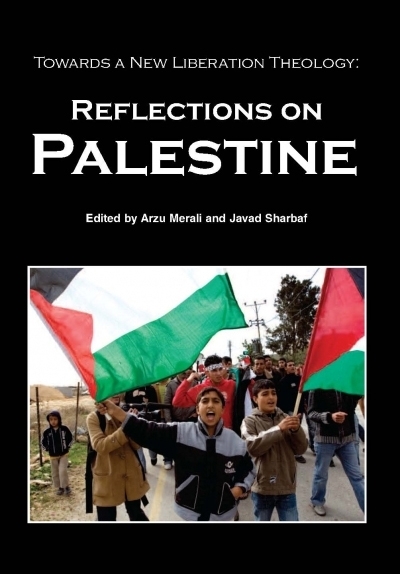 As with the other volumes, an electronic version of this tenth volume is available for reading or download on the ICIT digital library (www.icit-digital.org); and a hard copy is available through ICIT directly or through various online book retailers. We cannot thank Allah (SWT) enough for providing us this opportunity to work on His Book to help clarify its multi-layered meanings for Muslims and non-Muslims alike. 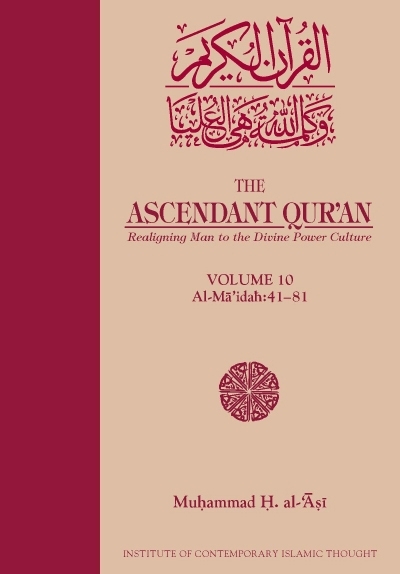 We pray to the lord and sustainer of all the worlds to accept this humble effort from us and to make it a source of guidance and understanding so that Muslims can appreciate the noble Book of Allah (SWT) in the way it was intended, and then apprehend their dark situation into new vistas of freedom, independence, and self-determination. We recognize that the task we have embarked on is difficult, indeed monumental. The road ahead is full of hazards but we have set out with sincere intentions and a firm conviction, and are thereby confident and secure in the knowledge that Allah (SWT) in His infinite mercy will provide the means to enable us to take it to fruition. We thank the many readers who have given and continue to provide input and support for this tafsir. We continue to rely on their support, which is a source of encouragement and solace for us. for all those who have selflessly and generously sustained our activities, your reward is with Allah (SWT). May He, the Most Merciful lord and sustainer, multiply your contributions many times over. Amin. Two dins shall not coexist in the Arab[ian] Peninsula.” Narrated by Abu Hurayrah and Muhammad ibn Muslim ibn shihab al-Zuhri, and recorded by Ibn Hajar al-‘Asqalani, Ibn ‘Abd al-Barr, Ibn al-Mulqin, and al-Haythami.